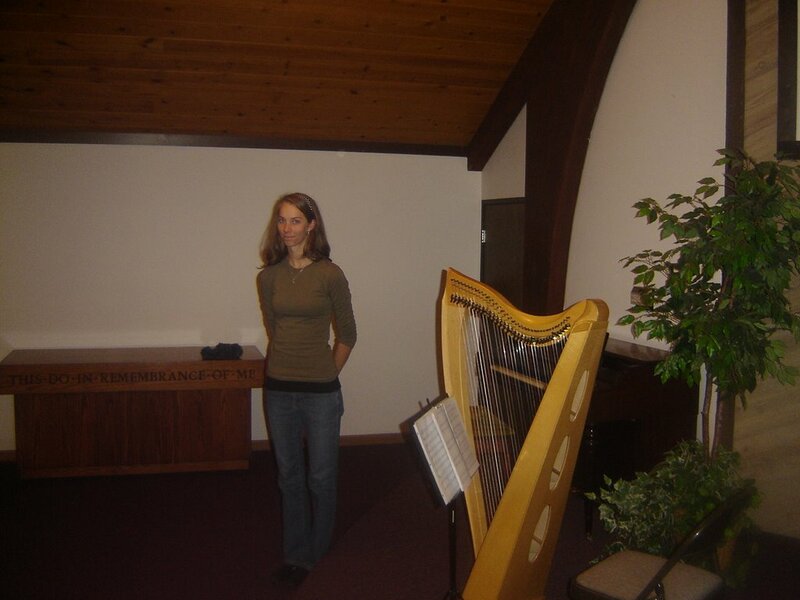 Last night at New Life Robinwood, Andi Haugen played her harp as we spent an hour talking to God about the Spiritual Life of our church. What a sweet hour it was! This prayer meeting was a part of our 40 Days of Extraordinary Prayer emphasis that is going on right now at New Life Church. 1) From 7:00 PM on Monday September 25th to 7 PM on Tuesday September 26 we will be celeberating the 1st Anniversary of New Life Robinwood with a 24 hour prayer time. We are encouraging every person at New Life Church to take one hour or half hour during this time frame to pray at your own home and ask for God's blessing on our church. If you haven't yet signed up for an hour, why not leave a comment on this blog to tell us what hour you will be praying. 2) Our next corporate prayer time will be at New Life Riverfalls on Wednesday October 4th at 7 PM. 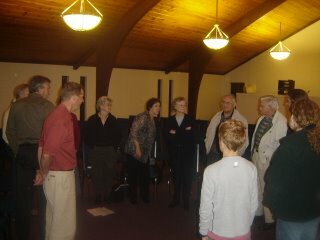 We will be praying about physical needs of people at our church. If you are sick or in need or would like to pray for people who are sick or in need, please join us for this special night of prayer. We will join you at 2:00 am. for an hour. Don't feel sorry for us praying so early in the morning. It will be 11:00 am. here. Ciao Tutti!